 Mass-goers at four Achill churches will next weekend (July 3rd/4th) hear speakers from the newly-formed Catholic Grandparents Association, as part of an effort to establish a branch of the organisation in the parish. The Catholic Grandparents Association has grown out of the popular National Grandparents Pilgrimages in Knock Shrine over the last three years, and is now building branches around the country. Catherine Wiley and Máire Printer from the Catholic Grandparents Association will address Masses in Dookinella, Bunacurry, Pollagh, and Achill Sound, and Curraun next weekend, and a follow-up meeting to establish a branch locally will be held in the coming weeks. “The Catholic Grandparents Association seeks to support grandparents in every way it can, and also assist them in their very important role of passing on the faith to their grandchildren,” said Association founder Catherine Wiley.